Do You Dream in LINQ? I have always been surprised that this was not already baked into the framework, but it turns out it is fairly easy to add. There are just a few steps. 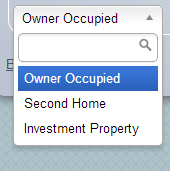 In the end, we want a drop down that will list the valid values from the enumeration. Next we need to do a little bit of work to make sure that this template will be used. We will create a new CustomModelMetadataProvider that will let the DataAnnotationsModelMetaDataProvider handle all of the work, but if there is not a TableHint added and the property is an enum, we will assign our own TableHint of "Enum. It may seem like a lot of work, but once this is in place, you don't have to worry about any of these steps again. how do you do this with html.dropdownlisfor? This is easily adapted to flags by simply using a MultiSelectList instead of a SelectList. I would modify the GetMetadataForProperty method to check for the custom attribute FlagsAttribute, if the attribute is there, set a different UI hint. You could also use a collection of checkboxes, but I think that the multi item select is more expected. Jeroen thanks for sharing an alternate approach. That is one of the things that I like about MVC, there are many ways to do almost anything. Localization can easily be handled by pulling the display name from a resource file keyed by the Enum.DisplayName combination to get the language specific wording. nice creating but i have a small problem i need wordpress dropdown menu style creating. This function works wordpress theme function?